It’s a rare occasion these days that I drive past the field bisecting the Leech and Allerdene estates in the southern Gateshead area of Low Fell. However, when I am back in the area I was raised, driving beside this triangular shaped field manifests a strange amalgam of warmth and sadness within yours truly. Warmth at numerous happy childhood memories playing football on this undulating sloped field, mixed with rueful sadness at not witnessing kids still kicking a ball on this grassed land at the southern end of Dartmouth Avenue. It was here, along with several friends and acquaintances, I learned and practised the finer nuances in the art of football. Avoiding the play area’s sporadic scattering of dog dirt a major contributing factor to my accomplished fleet of foot dribbling skills. In the early 1970’s, I mirrored my leggy run, sock tag number and covering my hands with pulled football shirt arms on Leeds United striker Allan Clarke. My childhood hero, West Midlands born, but whose goal scoring exploits for the West Yorkshire club earned him the title of an honorary Yorkshireman. Clarkey no doubt honed the skills that elevated him to England international status on the dog dirt covered parks of Willenhall, near Walsall. Hundreds of childhood hours practising with his three brothers Frank, Kelvin and Wayne who also broke into the professional game around the 1970s/80s. None of the lads I played with/against went on to play professional football like the Clarke brothers, however, it mattered not. Dreams may not have been made upon this patch of unsymmetrical field, however memories were. Recollections which will remain indelibly etched in my mind until judgement day, or death. Whichever comes sooner. Nidgy – A lad in my class at school. Long blonde hair which he claimed was kept in place with Harmony hairspray. A renowned goal hanger who scored plenty without displacing his beloved locks. As he didn’t move around the pitch much Nidgy regularly went home with the least dog dirt on his trainers. Dinky – A speedy left footer who worried a lot about inflation during the fraught political times of the Wilson and Heath governments of the mid 1970’s. Once gave away a penalty after angrily hacking down one of the other lads who criticised the Tory government for trying to artificially keep inflation low by their reckless pursuit of a Keynesian economic policy. Gary H – A genuinely nice guy and close friend to this day. The best player amongst the group who represented Gateshead schools in many age groups. Although he’s been a copper for many years I’ve never heard him say “Allo, Allo, Allo. What’s going on here then? !” A tough job, but with great perks such as discounted restraining orders and a bulletproof BBQ apron. Dougie G – A uncompromising tackler with a distinctive cowlick on his fringe, which changed from side to side depending on his mood at the time. If he was angry it’d present on the left and if he was happy it show on the right. If he was very angry he’d just kick you in the nuts!! Once stormed off the pitch for being given offside when he wasn’t! Tim M – A diminutive lad who lived just up a ginnel from the Allerdene field. The brains of the group who could actually understood the strategy behind Keynesian economics. A fellow Leeds fan, in my mid-teens I foolishly sold Tim my Leeds United programmes for the 1972, 1973 FA Cup finals and the 1975 European Cup Final. To rub salt in the wound the magic beans he gave me in return didn’t harvest a beanstalk housing a golden egg laying goose. A lad with great humanity who once undertook an outer body experience to raise money for charity. Wayne E – A funny guy who made up for lack of football skill by amusing us with his dog dirt anecdotes. Had a bandy legged running gait which was quite distracting as it made him look like he was running sideways. He reckoned he got his Christian name from his mum’s love of actor John Wayne – His sister was called Gagarin. Had aspirations to become Pope which were scuppered when he failed the entrance exam to become a catholic because of flat feet. Stewart M – A Geordie lad of Scottish heritage, Stew’s huge popularity amongst the group was born from his promise never to play the bagpipes in our company. Was the only lad I’ve met who could do the Rubik’s Cube without peeling off all the stickers and re-sticking them back on in colour order. Darrin S – Like Gary H, a good friend to this day. As a young lad D was quite quiet and withdrawn, but excelled in art, kite flying and finding the end on rolls of Sellotape. Once completely covered his head in Sellotape to see what it was like….. After being released from the tape, gasping anxiously for breath he claimed the prank was overrated and the he’d stick to drawing and football from now on. 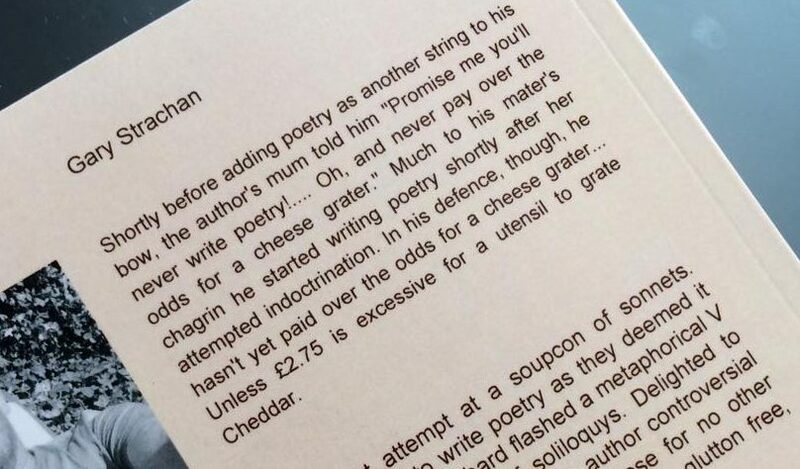 Cheese – My brother. White of hair and small in stature but not of heart. Inch for inch, along with Gary H, was probably best player in the group. A lad who’d often put his body on the line by diving in front of an opponents shot, it was his shirt and shorts (not trainers) that bore the brunt of his dog dirt contact. As a young child, had aspirations to play the harp in a marching band. Gary S (Me) – Skilful, two footed player equally adept in goal or as a striker. Sadly an overly sensitive nature and displeasure at being kicked robbed me of a chance of playing at a decent level. Thought I was Allan Clarke when I was 10 because I wore number 8 sock tags just like him…… I wasn’t!! Richard R – A tall lad with a look of Boomtown Rats frontman Bob Geldof. Rusty lived opposite the Cromer Avenue United Reformed Church and told of regularly hearing god and the Reverend Shakesby discussing their disenchantment at the rising cost of frankincense and myrrh. To the best of my knowledge, has never attempted to organise an all-star rock concert to raise funds for famine relief with a Midge Ure lookalike. There were many others who’d join us occasionally for a date with the orange Wembley Trophy football. People like Preecey, Tim Gray, Alan T, and a lad from Deckham called George who’s now called Georgina and drives a bus in Malaga. A happy time of my life which I reflect upon as Utopia in sock tags. Disclaimer:- Some of the player’s biographies have been enhanced fictionally to aid the narratives flow. The words dog dirt appear courtesy of Frank’s Pet Emporium, Birtley. Hi Gary, great to read a memory from our youth. The irony being I now I have grown up ( not matured) live in Yorkshire, supporting Newcastle, instead of living in Gateshead supporting Leeds. Still have problems with the cowslick, but the anger management much better, especially during walking football, much harder to be offside! Great to hear from you, Doug. Where you live in Yorkshire, pal? I live in Selby now, the outskirts Brayton, since 96, married to Gill Kirsopp, you may remember her, as she lived in Allerdene, I think Gary H will. Low Fell still holds fond memories and we still visit family and friends when we can. Busy life though, 2 kids, both degree educated and now cut from purse strings, Josh recently married to Jess and Katy travelling the world with her partner Rob, 3 years in and little sign of returning! Have you reclaimed your passion for Leeds? Unfortunately Rusty no longer treading any footy fields he passed away suddenly a couple of years ago, but I remember cheese your kid brother, Gary H, Dinky, also Phil Old together with Kev D? One of my favourite memories of Brekenbeds was having a football team midfield named, Old, Mould and Rust!